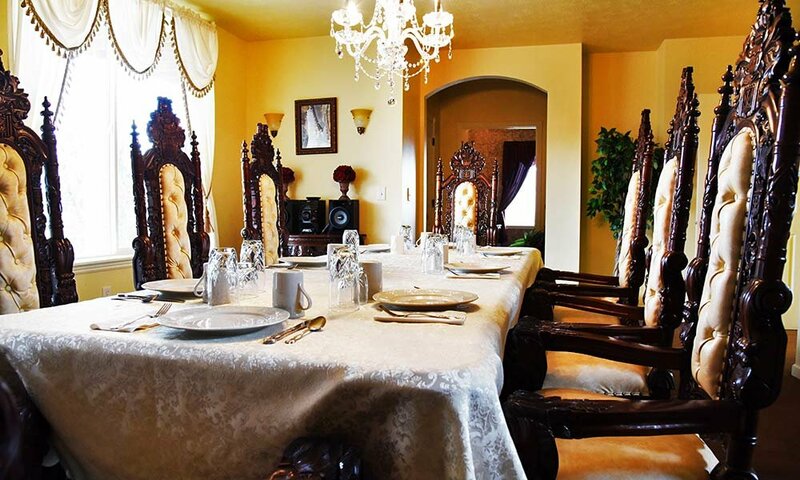 Just two hours north of Salt Lake City, Lions Gate Manor sits on a quiet wooded hillside with panoramic views of the mountains and valleys surrounding the resort town of Lava Hot Springs, Idaho. Come relax in one of the themed luxury suites. 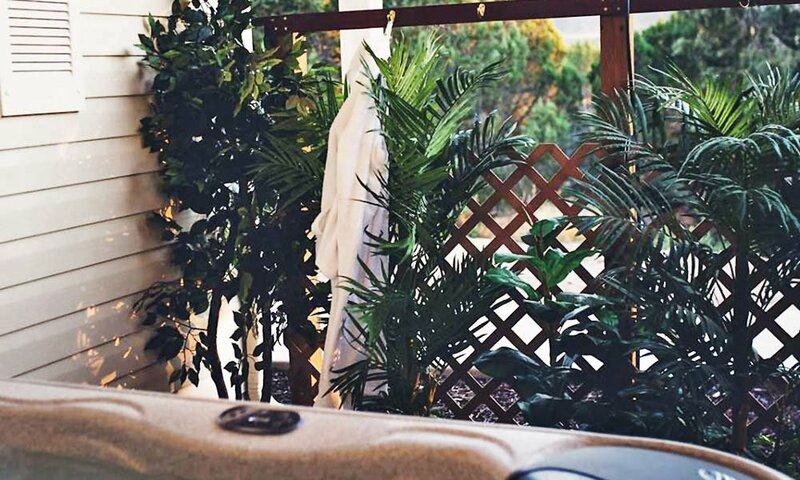 Soak in the on-site mineral spa while watching deer graze among the nearby trees. Make your perfect getaway unforgettable with the addition of some roses, chocolates, sparkling cider on ice, and an in-suite couples massage. After a restful night's sleep, start your day with a full hot country breakfast before taking that short 3-minute drive downtown to the world famous Lava Hot Springs Resort. Lions Gate Manor is known for its luxurious beautifully themed suites, each offering a unique combination of amenities, including exotic imported furniture, fireplaces, air-jetted tubs, and more! 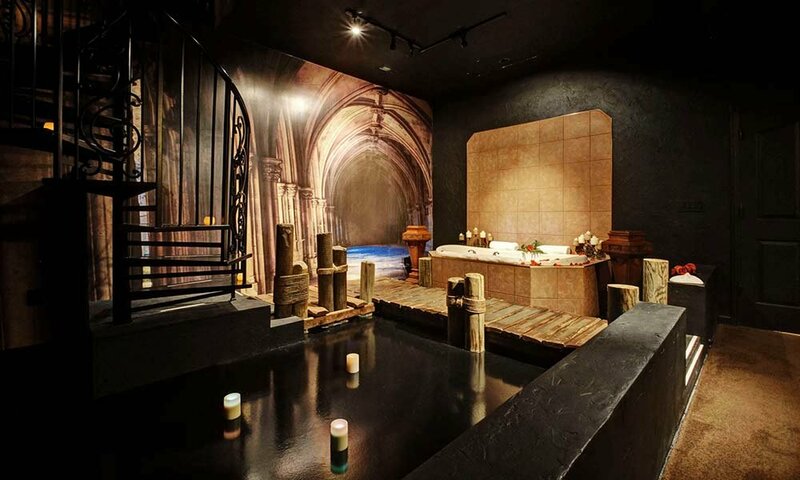 Soak in the on-site mineral spa. Enjoy the 104 degree swirling waters of the outdoor mineral spa while taking in the beautiful view. You might see some of the plentiful deer and other wildlife as they graze among the nearby trees. 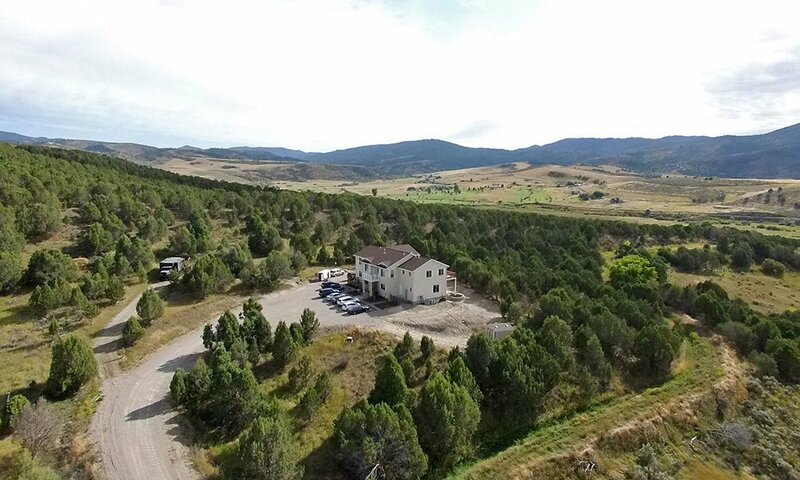 Our Manor is located in the scenic mountains of Lava Hot Springs, Idaho, only a 3-minute drive from the famous Lava Hot Spring pools. Start your morning with a delicious hot homemade country breakfast, our treat to you for staying in our suites.